The Eurofighter Typhoon consortium brings together the brightest minds in European aerospace in order to create a world class weapon system. Eurofighter Typhoon is built on the strength of 4 European nations: UK; Germany; Italy and Spain, and their leading aerospace and defence companies. This partnership is unrivalled allowing equal access to shared manufacturing, development and the creation of long-lasting political and industrial relations. Eurofighter Jagdflugzeug GmbH is made up of the major aerospace companies from the four Eurofighter Typhoon partner nations. While Eurofighter Jagdflugzeug GmbH co-ordinates the programme on Industry side, the NATO Eurofighter and Tornado Management Agency (NETMA) acts as the single point of contact for customers and governments. The partner companies in the programme – BAE Systems, Leonardo – Aircraft Division, Airbus Defence & Space – manage industry suppliers employing over 100,000 people across the supply chain, enriching the technology capabilities of the whole European region. NATO / NETMA acts as the single point of contact for customers and governments. Eurofighter Jagdflugzeug GmbH co-ordinates the design, production and upgrade of the aircraft. Every day our aircraft are protecting the skies in Europe, the Middle East and even in the Southern hemisphere. They are on Quick Reaction Alert (QRA) duty 24 hours a day, 7 days a week. Eurofighter Typhoon has become the backbone of the Air Forces in the UK, Germany, Italy, Spain, Austria, Saudi Arabia and Oman. During conflict, air chiefs want an aircraft that is versatile, reliable, resilient and cost-effective. Eurofighter Typhoon fulfills all of these requirements and the operational experiences gained during these flying hours have proven it. Eurofighter Typhoon is Europe’s largest military programme, with the four founding nations – Germany, Spain, United Kingdom and Italy – all using the aircraft in their own air forces. Upgradeability and flexibility was at the core of the specification to ensure that the platform could be used highly effectively by all air forces providing unrivalled global partnership. 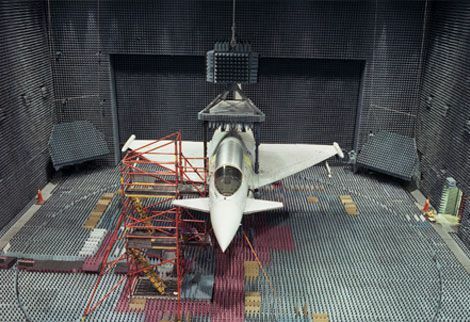 The construction of the first Eurofighter Typhoon prototypes began in 1989 and it was agreed that each of the four parent nations would host the production line and final assembly for the components of the aircraft it was responsible for: Warton for BAE Systems, Manching for EADS Germany, Turin for Leonardo – Aircraft Division and Getafe for EADS CASA. In 1994, the Chiefs of Air Staff of Germany, Spain, UK and Italy all agreed on their advanced aircraft requirements, with DA1 and DA2 Eurofighter Typhoons making their first test flights that same year. By 1996, the nations had agreed on the workshare production, and a year later the 500th test flight took place in Manching, Germany. Over the late 1990s and early 2000s the aircraft undertook extensive environmental, weapon firing, in-flight fueling and supersonic speed tests. Between 2003 and 2005 the Eurofighter Typhoon was introduced into service across the 4 core nation's Air Forces. During this period aircraft received the defensive aids sub system (DASS), the multinfunctional information and distribution system (MIDS), initial direct voice input (DVI) and sensor fusion systems. In 2005, the UK signed an understanding with Saudi Arabia that Eurofighter Typhoon would replace the Saudi Tornados. In 2006 the aircraft was operational and patrolling the skies of Italy during the Winter Olympics. The Austrian Air Force (Luftstreitkräfte) received its first Eurofighter Typhoon in 2007, with Saudi Arabia receiving its first aircraft in 2008. A year later, the 4 core nations of the founding consortium received the second tranche of aircraft, which undertook a unique advanced medium range Air-to-Air missile (AMRAAM) firing trial. The objective was to fire a missile while the radar was in passive mode, demonstrating a key stealth capability. Also in that year, it was established that the aircraft would receive upgrades every two years and major hardware upgrades every four years. By 2010, the aircraft featured an advanced helmet-mounted symbology system (HMSS). The Eurofighter Typhoon began combat missions in Libya on 21 March 2011 as part of the United Nations’ Odyssey Dawn operation. On deployment RAF Typhoons carried Enhanced Paveway II bombs and totalled 3,000 flying hours and over 600 sorties during a six month period on Operation Ellamy. In November 2011, the 300th aircraft was delivered to the Spanish Air Force. 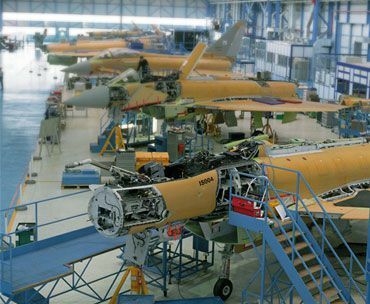 In December 2012, a contract for the supply of 12 Typhoon aircraft to the Sultanate of Oman was signed. In 2013, contracts were signed for the Meteor integration and Phase 2 Enhancements (P2E). In the same year, the 400th Eurofighter was delivered to the German Air Force. During 2014, the P1E upgrade entered into service, the Storm Shadow integration contract was signed as well as a contract for the development of Captor-E (E-Scan) radar for Typhoon. In Feb. 2015, the Phase 3 Enhancements (P3E) contract was signed during the IDEX Defence Exhibition and 2015 also saw RAF Typhoons performing numerous engagements over Syria and Iraq. In April 2016, a contract was signed for the supply of 28 Typhoon aircraft for the State of Kuwait. 2016 also saw a P2E upgrade enter into service. The combat-proven Eurofighter Typhoon is the world’s most advanced new generation swing-role combat aircraft available on the market and is in successful operation in seven nations: Germany, Italy, Spain, United Kingdom, Austria, the Kingdom of Saudi Arabia and the Sultanate of Oman. The Royal Air Force of Oman is the Eurofighter Typhoon's seventh customer, having commissioned 12 Eurofighter Typhoons. Deliveries have now commenced in Oman. In April 2016, a contract was signed for the supply of 28 Typhoon aircraft for the State of Kuwait. And, on 10th December 2017, it was announced that the Government of Qatar and BAE Systems entered into a contract for the supply of 24 Eurofighter Typhoon aircraft. Notable enhancements for 2017 and beyond include an active electronically scanned array (AESA) radar and the long-range Meteor missile. Further Eurofighter Typhoon planned upgrades include: laser warners; enhanced DASS (defence aids sub system); thrust vectoring for greater manoeuvrability; stand-off weapons, such as Storm Shadow and Taurus; advanced targeting pods; enhanced computing abilities; and passive missile warning systems. Taken together, these will keep Eurofighter Typhoon at the leading edge of swing-role combat aircraft technology. More than 500 Eurofighter Typhoon aircraft have been successfully delivered to seven countries: Germany, United Kingdom, Italy, Spain, Austria, Oman and Saudi Arabia. With units operating worldwide, the Eurofighter Typhoon fleet completed over 480,000 flying hours with unparalleled operational statistics from Europe to the South Atlantic and the Middle East. The RAF received its first operational squadrons at Coningsby, Lincolnshire in 2004, with a subsequent squadron at Leuchars, Fife in 2008. The RAF is the biggest Eurofighter Typhoon customer with the 100th aircraft delivered to No 1 (Fighter) Squadron at RAF Leuchars in January 2013. 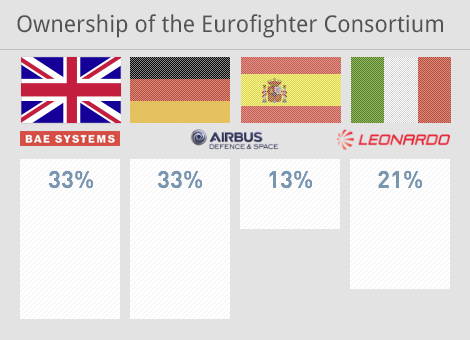 The UK is a key member of the Eurofighter Typhoon consortium. The first Eurofighter Typhoon aircraft were accepted by the Luftwaffe in 2003. Three units operate the Eurofighter Typhoon in Germany; they are called Tactical Air Wings. As a core member of the consortium, Germany hosts the Eurofighter Typhoon organisation. Italy is a key member of the Eurofighter Typhoon consortium. The 18th Gruppo based at Trapani Air Force Base (AFB) in Sicily, Italy, became the 20th squadron to operate Eurofighter Typhoon in November 2012. It joins squadrons in Grosseto and Gioia del Colle. The Italian Air Force uses the Eurofighter Typhoon as the main nation's asset for air defence and coalition missions. Spain is a key member of the Eurofighter Typhoon consortium and received its first aircraft in 2003. The Air Bases in Moron and in Albacte are protecting Spains aerospace with the Eurofighter Typhoon. Austria saw the first sale of Eurofighter Typhoon outside of the four consortium member states. Austria now operates the world’s most advanced swing-role combat aircraft securing and defending Austrian air space. In 2006 Saudi Arabia agreed to purchase 72 Eurofighter Typhoons. In 2012 the Eurofighter community welcomes Oman as a new member to join the international defence programme. In 2016 the State of Kuwait signed the contract for the supply of 28 Eurofighter. In 2017, BAE Systems and the Government of the State of Qatar have entered into a contract for the supply of 24 Eurofighter Typhoon.